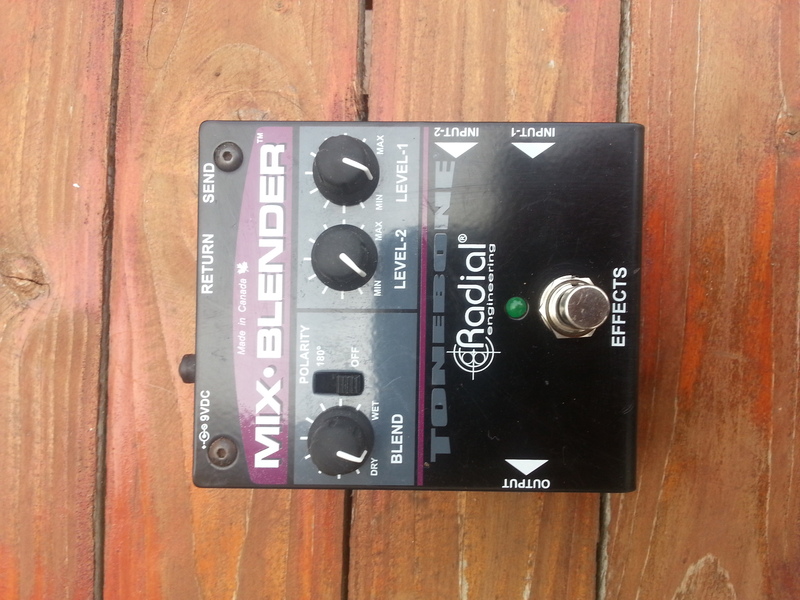 Mix-Blender, Effet guitare divers de la marque Radial Engineering appartenant à la série Tonebone. 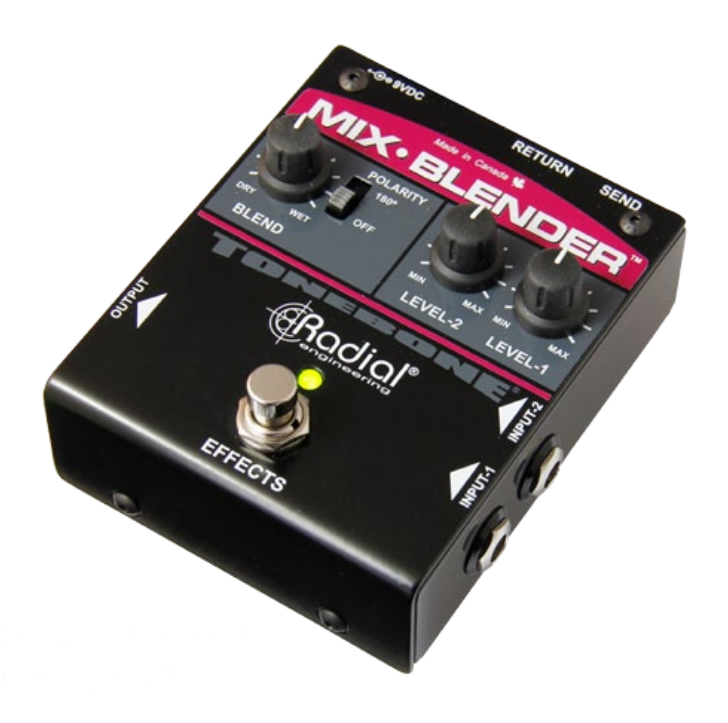 The Mix section is exactly that, a 2-input mixer that lets you combine two sources and send them to one output. 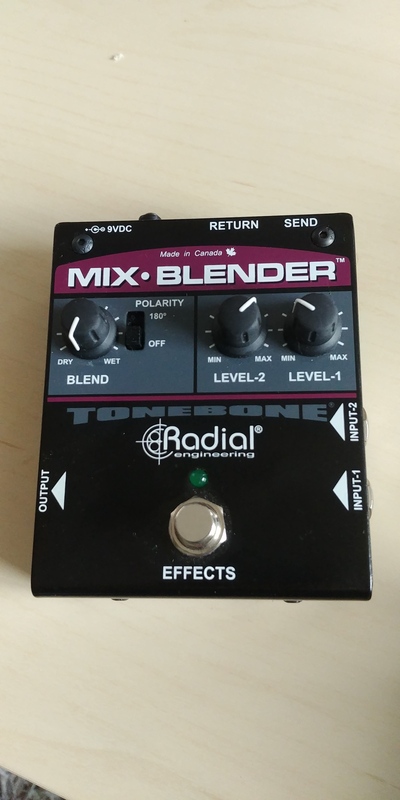 This could be used to blend two pickups from an acoustic guitar or allow two guitars to be active at once for players that must instantly transition from one tone to another. 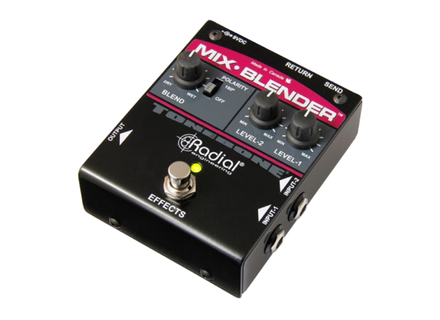 It can also be used to mix two effects chains together in parallel by first splitting the signal and then recombining them. 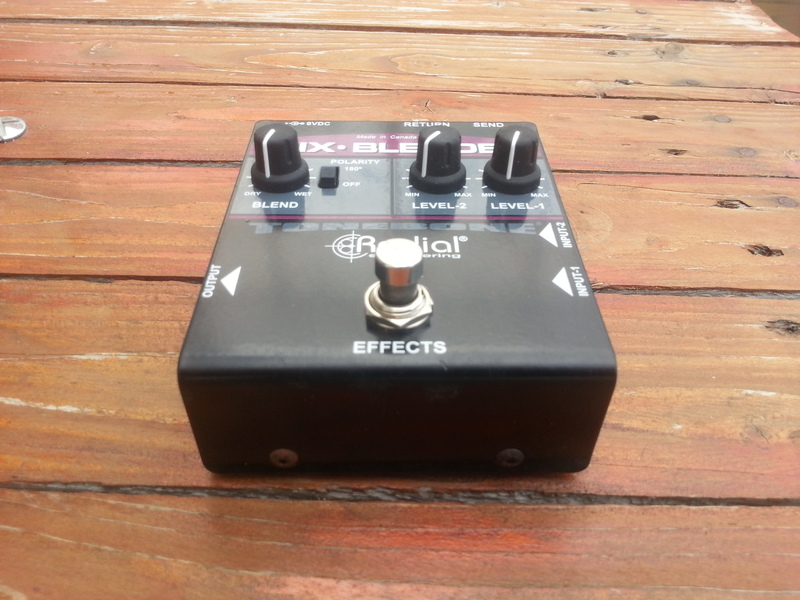 This studio trick is often used to create subtle or unique effects.